Deep Water Culture is a method of hydroponics in which the roots of plants sit in an aerated pot of water. Most DWC systems use a net pot and clay balls to hold the plant securely above the reservoir and the roots of the plant grow down into the water. A constant stream of bubbles is produced by an air pump that drives an airstone in the bottom of each DWC bucket, providing plant roots with the perfect ratio of water, nutrients and oxygen for accelerated growth. DWC systems are cheap, easy to install and come in a number of sizes and plant sites to cater for any size of garden. For more info on DWC systems, read our buyers guide below. Water - All living organisms require water for their metabolic processes - in hydroponic systems we supply a constant stream of water so it’s like you’re constantly watering the plants in the system, since water is always available as and when it's required. Nutrients - Plants require both micro and macro nutrients for healthy growth - in soil all the essential nutrients are available. Luckily we supply many different brands of nutrients that supply all of the elements plants require in the correct ratios. Oxygen - Roots would drown if they are submerged in un-aerated water for too long. DWC systems utilise an airstone and air pump to deliver air bubbles directly underneath the roots of plants; the air rises through the root zone oxygenating the water on the way. DWC Single oxypots will require you to check the EC and pH in each pot to make sure they’re within optimal levels, while this will make your grow room checks longer, any disease present in one pot cannot physically transfer to another, so any problems in oxypots are less likely to spread and infect an entire crop. Systems that have a shared reservoir such as RDWC and multipot oxypot systems are easier to check but any diseases such as pythium or fusarium are more likely to take hold and ruin an entire garden. You can use a peroxide containing product such as liquid oxy or silver bullet to sterilise your tank and reduce the chance of diseases. Early on in your plants life, you’ll have to top feed your plant with nutrient solution as before the roots hit the water in the bottom of the pot, the substrate in the top is at risk of drying out which could kill the plant. As the plant matures, it will send roots into the reservoir where it can uptake exactly what is required. Some DWC systems incorporate a dripper to the top of the system, eliminating the need for top-watering during early growth before the roots hit the water. The more mature the plants get, the less they require the feeding from the top and the more the plant takes its what it needs from the bottom bubbling reservoir. This revised method of DWC is known as bubbleponics. 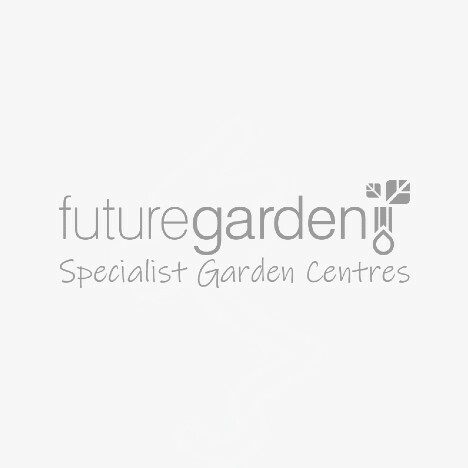 For more info on DWC systems, email us or call our specialist team on 0800 085 7995, as they can advise you on different hydroponic options and what's best for your budget, space and plant type.